On October 10, 1971, Upstairs Downstairs took the world by storm. Based on an original idea by Jean Marsh and Eileen Atkins for a comedy called Behind the Green Baize Door, the series ran for 5 series and 68 episodes over four years from 1971-1975. As originally thought out, the series would focus on two housemaids, played by Marsh and Atkins, in a large country house in the Victorian era. According to “The Story of Upstairs Downstairs“, Marsh and Atkins removed the comedy element and changed the setting to a large townhouse in Edwardian London with the title becoming Below Stairs. 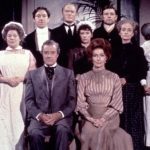 As Marsh soon realized, however, ‘…servants have to serve somebody’ so they soon added a family upstairs and Upstairs Downstairs was born. After the series was rejected by Granada Television, the two shopped the series to London Weekend Television where the first series was commissioned in April 1970 for broadcast. Set in a large townhouse in Edwardian Belgravia in London, Upstairs Downstairs tells the story of the lives of the servants ‘downstairs’ and the family ‘upstairs’. Sounding a bit like another mega-hit period drama already, isn’t it? Can anyone say Downton Abbey? As with its 21st century counterpart, great events of the time were featured prominently in the episodes along minor or gradual changes noted throughout. Spanning the time between 1903 and 1930, the series also served as a document of the social and technological changes that occurred during those years that were woven into the scripts. The stories depicted the upstairs lives of the well-to-do Bellamy family, who reside at 165 Eaton Place in London’s fashionable Belgravia, and their downstairs servants. 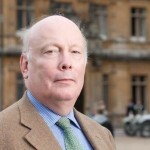 The household is led by Lady Marjorie Bellamy (née Talbot-Carey), daughter of the Earl and Countess of Southwold, and her husband Richard Bellamy MP, the son of a country parson. 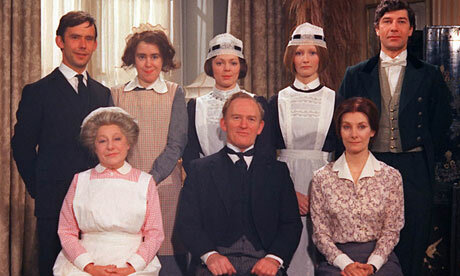 Upstairs Downstairs was early days ‘appointment television’. 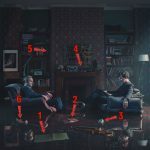 So much so, the address of 165 Eaton Place is probably as recognizable today as 10 Downton Street and 221b Baker Street. The original servant staff was headed by the authoritarian butler Mr. Angus Hudson, cook Mrs. Kate Bridges, pragmatic head house parlormaid Rose Buck, sweet Irish kitchen maid Emily, eccentric footman Alfred, mischievous under-house parlourmaid Sarah, who dreams of a dramatic life beyond servantdom, coachman Pearce, and Lady Marjorie’s lady’s maid Maude Roberts. 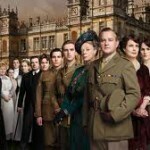 This is Downton Abbey down to the addition of Edward, the cheeky footman. Over the years, Edward later becomes a chauffeur; Daisy, the parlormaid eventually marries Edward; Thomas Watkins, the devious chauffeur who dabbles with Sarah’s affections; and Ruby, the slow-witted kitchen maid. Happy 45th to all the residents of 165 Eaton Place, upstairs AND downstairs!